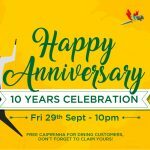 10 Years of Bem Brasil Northern Quarter - Celebrate with us! It’s with great pleaser that we celebrate 10 years of delicious BBQ serving. Ten years of success, of history, of feeding Manchester with an endless supply of prime quality meat Brazilian style! Join us on Friday 29th September from 10pm at Bem Brasil Northern Quarter to celebrate this special date. Feel what it’s like to be in Brazil with live music performed by Zagotinho – Brazilian artist bringing to Manchester the most popular and modern hits from Brazil. 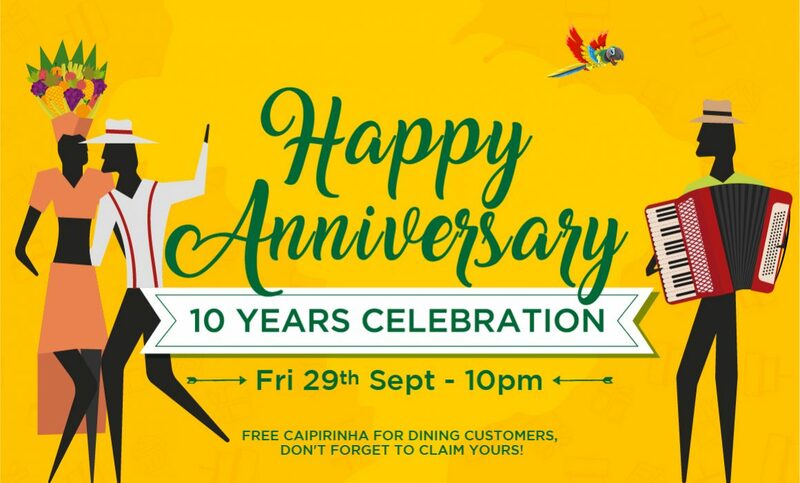 Dining customers are entitled to a FREE caipirinha, don’t forget to claim it!